Gorgeous townhome, bright & spacious, in highly sought after River Oaks Community at Galleria. 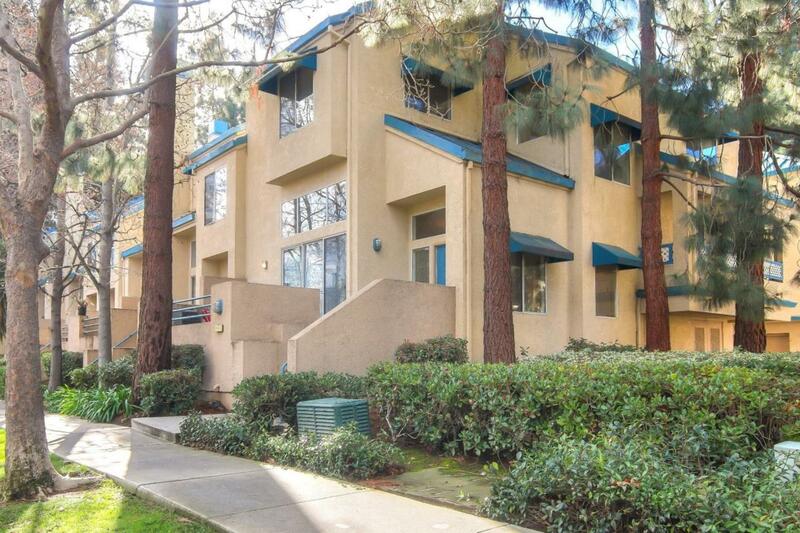 Central location in Silicon Valley w/ major conveniences nearby make this 3 bed, 2.5 bath, move-in ready, corner unit a perfect place to call home. Arrive to a formal entry w/ auburn finished wood flrs, spacious formal living rm w/ dramatic high ceilings, built-in wood-burning, gas-supplied fireplace, large windows & patio access for indoor/ outdoor entertaining. Formal dining rm overlooks living rm w/ outdoor views of natural landscape. Generous counter & storage space w/ adjoining breakfast nook in kitchen, opens to family rm w/ patio access. French doors to master suite w/ walk-in closet, high ceilings, skylight, marble counters, dual sinks, oversized shower & tub. Incl 2-car attached garage, bonus storage, in-unit laundry, new carpets, fresh interior paint. Minutes from major hwys, Airport, River Oaks Plaza, Rivermark Village, Great Mall, Levis Stadium, Great America, Coyote Creek Trail. Listing courtesy of Rick Trevino of Intero Real Estate Services.